We had such a great time getting to celebrate with Jan + Peter on their recent wedding day! 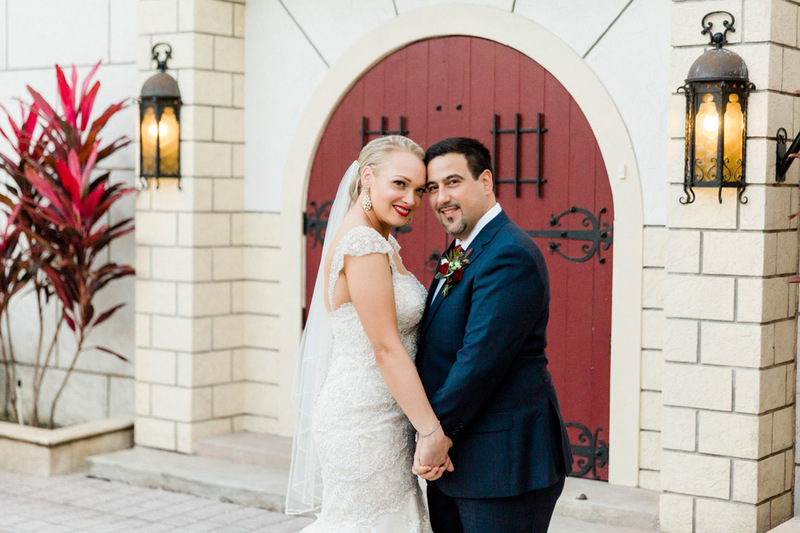 This sweet couple was married at the First Baptist Church in Bradenton, followed by an amazing outdoor reception at the South Florida Museum. It was such a gorgeous celebration, and we were so honored to be a part of it! Our Master Photographer Cornelia was there to document all the amazing moments of Jan + Peter’s big day, and we love all the stunning images she captured of them! 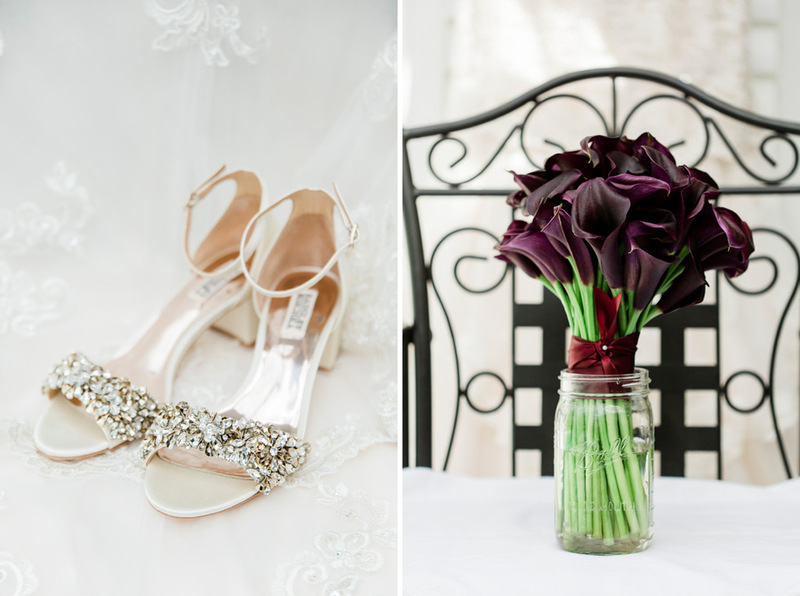 We’re so happy to share a few of our favorite images from the day here with everyone! We loved Jan’s gorgeous details for her wedding day – her flowers were so dramatic and beautiful, they were perfect for a December wedding! 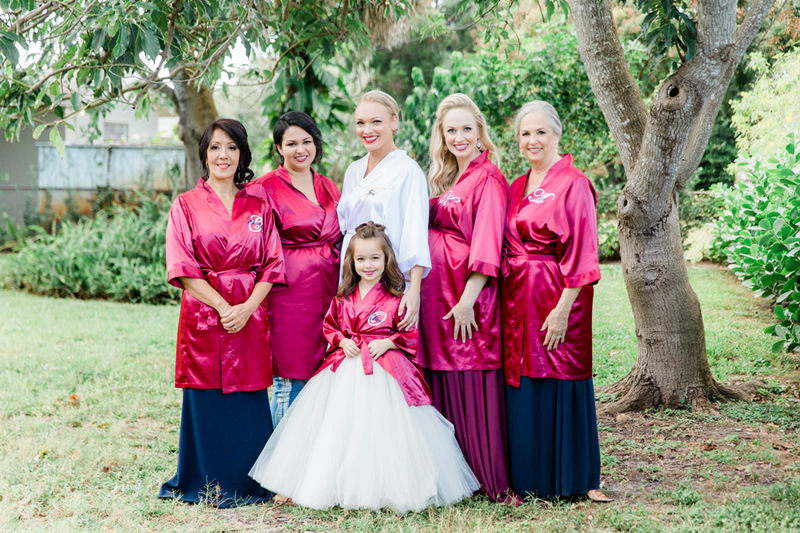 Jan looked absolutely gorgeous in her wedding gown – she was such a classic beauty, and we loved all the gorgeous beading and detail in her dress! Jan + Peter were married at the First Baptist Church in Bradenton. It was a really touching ceremony, and we were honored to be there as part of this special day in their lives! Immediately after the wedding ceremony, we were able to find a few quiet minutes with Jan + Peter for some portraits of them together and newlyweds for the first time! They were so sweet and romantic with each other, we couldn’t get enough of it! 🙂 Eventually, we met up with the rest of the bridal party at the South Florida Museum for a few more group portraits before the start of the wedding reception. Jan + Peter’s amazing reception was held in the courtyard of the South Florida Museum in Bradenton. It was such an amazing space that was decorated just perfectly for Jan + Peter’s celebration. We loved all the amazing details in the space, and it looked like something out of a fairy tale with all the lights twinkling above the patio after the sun set! Congratulations on your wedding, Jan + Peter! We had such a great time celebrating with you both, and we wish you nothing but happiness in the years ahead! Pamela + Jacob were recently married in St. Petersburg at the amazing Museum of Fine Arts, and their wedding was so gorgeous!! We loved getting to be a part of their big day, and Pamela + Jacob were such a sweet and wonderful couple to work with, too! Every detail of their amazing day way coordinated to perfection, and the pictures all look like something out of a magazine! Our Master Photographer Cornelia was there to spend the day with Pamela + Jacob on this special day, and she did such an amazing job capturing the beauty of their wedding! We’re so excited to share a few of our favorite pictures from the day here! Pamela and her bridesmaids all got ready for the big day at the Vinoy in downtown St. Pete. We had such a great time getting to chat with these lovely ladies as they got ready for the celebration! Pamela looked absolutely timeless and stunning in her amazing wedding gown! We loved her gorgeous veil, and the way that her amazing flowers flowed so perfectly with the style of her dress! Her flowers (and those of her bridesmaids) were created by Flora Fine Flowers. Pamela + Jacob chose to do a first look at the Vinoy before they met up with the rest of the wedding party for portraits. We loved getting to be there to witness this special moment between the two of them – they looked so happy to see each other for the first time on their wedding day! We are in love with this classic, romantic portrait of Pamela + Jacob before their wedding ceremony! Immediately before the ceremony, the wedding party met up in North Staub Park in downtown St. Pete for some portraits. This was such a fun group of friends to photograph! Pamela + Jacob were married in the Membership Garden at the Museum of Fine Arts. It looked absolutely perfect for their ceremony, and we were so honored to get to be there while these two exchanged their vows! Pamela + Jacob’s reception was held in the ballroom at the Museum of Fine Arts, and it looked amazing and elegant for them! Every detail of their amazing day was so elegant and classic, and it made for a beautiful space to celebrate their wedding! We had such a great time celebrating with all the friends and family who had traveled to support Pamela + Jacob on this momentous day! Congratulations on your wedding, Pamela + Jacob! Thank you for choosing us to share in this amazing day with you both!